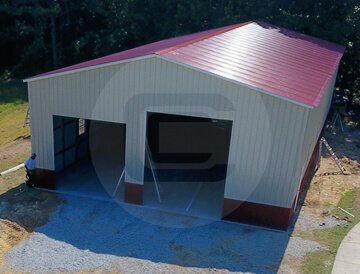 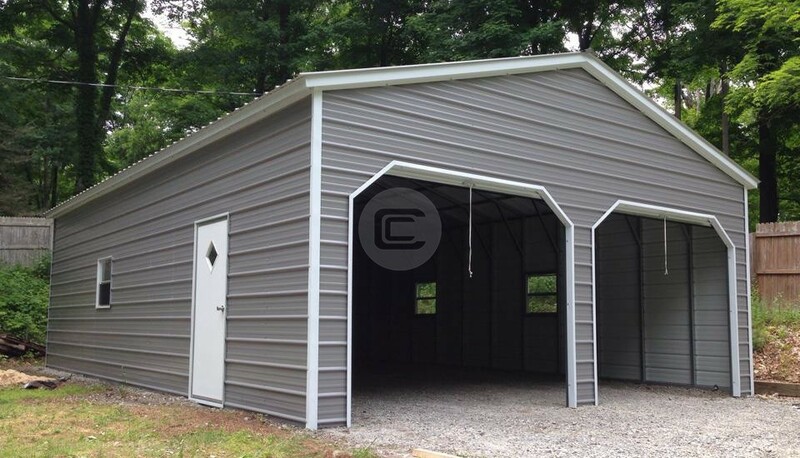 Metal RV Garage  featuring 40 width x 71 length x 16 height with vertical roof style, which serves as the best option for area that have heavy snow load. 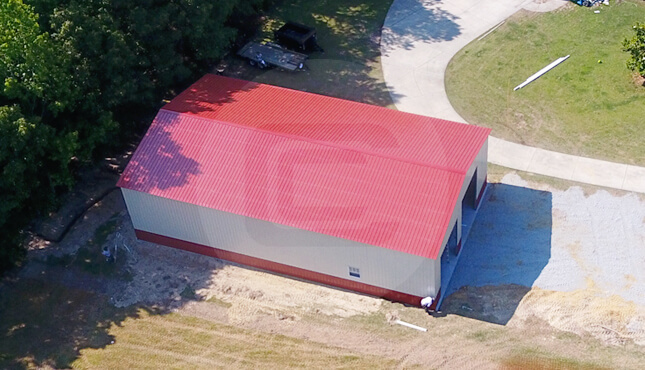 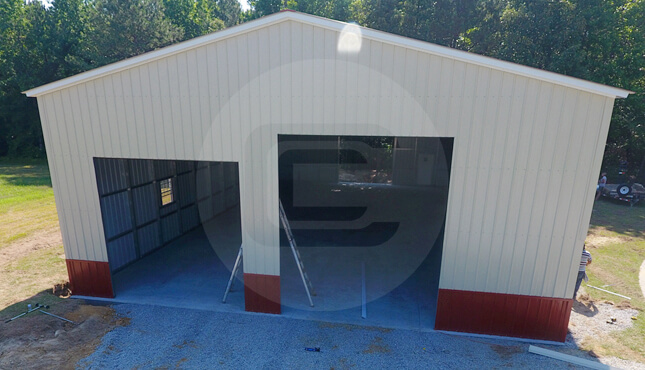 This RV Garage is certified with 140mph/35psf, has all the sides and ends closed with vertical wall panels. 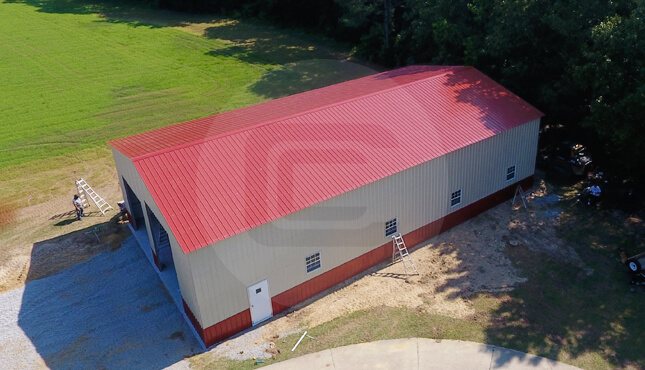 Got one 12x14 roll-up garage door for RV, two 12x12 roll-up garage doors, two 36x80entry doors and 5- 30x36 windows. 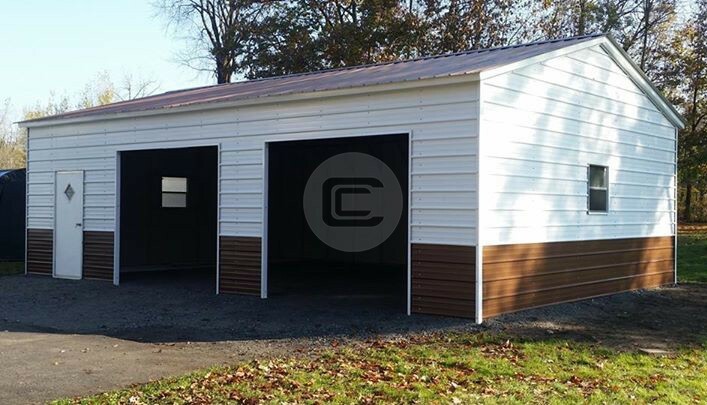 Installed at $40,450 with a down payment of just $6048 by Carport Central.